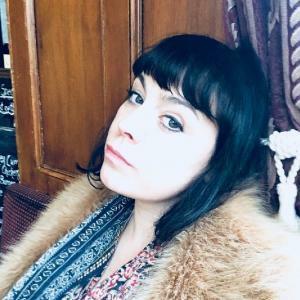 Scotland-based writer Jenni Fagan has been selected as the 2019 Dr Gavin Wallace Fellow, supported by the National Lottery through Creative Scotland. Fagan will become writer in residence at Edinburgh’s Summerhall for one year to produce new work inspired by the theme of change, sustainability and how the past informs the present. Fagan will receive a £20,000 bursary, private work space at the multi-arts complex, a bespoke programme of support and engagement and access to the full range of Summerhall’s activities during the year. Established in 2014 the annual Fellowship provides a mid-career or established writer with time and support to develop new work in partnership with a host organisation. “Being selected as the Dr Gavin Wallace Fellow at Summerhall is a dream opportunity on every level. I can’t wait to immerse myself in the past, present and future of this extraordinary place. There is so much to be inspired by and a lot of work to be done. “I’m excited about the prospect of creating a poetic Almanac that captures twelve months, four seasons, and the ghosts, characters, artists that have influenced the character of the building. I’m interested in devoting each month to a different space in the building, different practitioners and events.